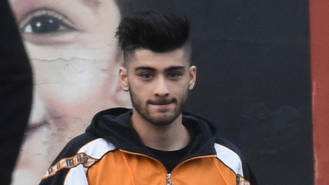 The 23-year-old dropped out of boy band One Direction in March, 2015 to focus on his own music and the pop star's highly-anticipated first album, Mind of Mine, will hit stores on 25 March (16). As part of an effort to promote his new record, Zayn hosted a chat on Periscope on Friday (18Mar16) and before logging off from the live video streaming app, the musician told fans he was on his way to the recording studio. Listeners who tuned into Zayn's Periscope event were in for a treat, as he sampled a series of new, as-yet-unreleased tracks, including snippets of She Don’t Love Me, She, Take It Off, Drunk, and his collaboration with R&B singer Kehlani, which is entitled Wrong. Zayn has been exciting fans all week with his new work - on Thursday (17Mar16) he dropped his new single BeFour. Speaking about what the song is about, he hinted the tune may allude to his split from One Direction. “I don’t feel like people really know what I’m going to give them, musically," he told Fader magazine in November (15). "Once they hear it (single BeFour), I feel like they will understand me a little bit more, and they’ll understand why I did what I did, and why I left the band, and why I had to write this s*** down." The new track's lyrics appear to hint at the band's rumoured infighting, featuring the lines: "Shame is you won’t say that to my face" and "No strings for you to pull on".